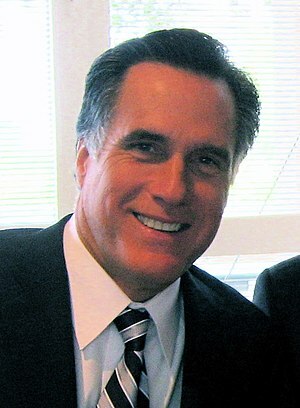 Em dezembro de 2011, durante uma parada de campanha em New Hampshire, Mitt Romney decidiu se sentar para conversar com Bob Garon no café da manhã. O que Romney não sabia é que Garon estava sentado com seu marido, com quem se casara poucos meses antes. Back in December 2011 during a campaign stop in New Hampshire, Mitt Romney decided to drop by Vietnam War veteran Bob Garon’s breakfast table for a quick photo-op. What Romney didn’t realize is that Garon was sitting with his husband, whom he had married just a few months earlier. What followed might be the single greatest “oblivious Romney” moment of the entire campaign. Enjoy.